Cold weather edibles are proof that delicious gardening doesn’t have to end when the mercury plummets. With the help of just a cold frame or greenhouse, you can enjoy fresh vegetables during the winter. Several types of produce don’t require much additional heating beyond shelter from the coldest air and protection for their roots. Many different vegetables grow well in limited space, such as a cold frame or in a container in a greenhouse. 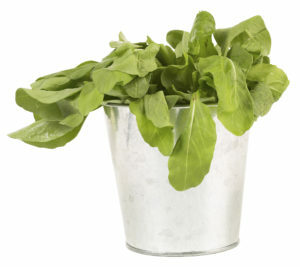 Some, like spinach and mache are obvious choices and greens grow well in limited space, such as a cold frame or in a container. But cold weather growing isn’t restricted to just the obvious choices, there are other vegetables that can do very well in colder climates too. Some small finger-type carrots do well in limited space, and quite frequently, the soil used for growing container carrots is less rocky and blocky than many gardens. Rocks and heavy clay soil cause split carrots, and it can be hard to harvest them at all from dirt with such a consistency. Small and finger type are the key words here, however, unless your containers or cold bed are quite deep, the roots will not have room to create a long carrot. Little Finger is a variety of Nantes carrot that maxes out at about 4 inches in length. Danvers Half Long is another short type, as is Chantenay. Another great variety is the Thumbelina carrot, which grows in a globe shape, not at all like the typical carrot. They are around 1.5 inches long and are known for their flavor. All of these carrots would be beautiful and delicious glazed for a holiday table side dish, not to mention fresh out of the ground and rinsed for a good snack. Scallions are another delicious choice for the protected winter garden. Chopped, they are an easy addition to a green salad, a beautiful garnish for a winter soup and downright tasty on a baked potato. They can be thrown in for the very last part of a stir fry, and in sauces as well. Left long, they are an unusual addition to a vegetable plate. 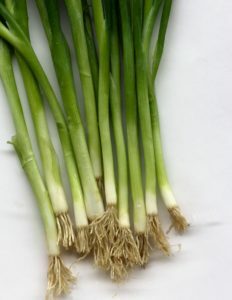 Scallions can be harvested as a cut and come again crop, but do not trim more than the top quarter or so of the plant. Claytonia (claytonia perfoliata) is also known as miner’s lettuce. It is called the latter, because gold miners in California valued it as a rare wintertime source of Vitamin C, which helped them fend off scurvy. Europeans cultivated the plant and call it winter purslane, though it’s not truly a type of purslane. The stems as well as the tender leaves are edible and have a light and fresh taste. This tasty winter green is also quite easy to grow, tolerating low temperatures (as long is it’s protected) and fairly consistent moisture. Do not sow the tiny seeds too closely together, to prevent extensive thinning work as the seeds germinate. Harvest claytonia’s heart-shaped leaves before the tiny white flowers form on a stem centralized in the leaf. Snip the leaves off carefully, with an inch or two of stem. The plants will continue to produce stems and leaves if the base of the plant is left undisturbed during harvesting. In a warmer climate, or a warmer greenhouse or cold frame, the leaves of miner’s lettuce become larger, and firmer, and if they are not tender enough for your taste as a salad green, a few leaves can be scattered across the top of a bowl of soup or used as a green garnish on a hot sandwich. Miner’s lettuce goes to seed readily, and tiny seeds will establish themselves where they land. If you do not wish to have claytonia in the same spot again next year, be sure to pull up the entire plant before it’s gone to seed. Amy Ambrosius is free lance writer.